Kimmage. Photo by Erin McGuire. It’s a rainy day and audiologist John Cass is standing in the waiting room of his clinic, near the intersection of Kimmage Road Lower and Sundrive Road. Their shop is right along one of those routes that the National Transport Authority (NTA) is proposing to redesign as part of its BusConnects plan to overhaul Dublin’s bus system. Cass’s daughter is behind the front desk, and Cass is saying he is concerned that the project – which is designed to speed more travellers faster along their journeys – will hurt him. He’s definitely not alone in the neighbourhood in his opposition to BusConnects, as is plain from the “Communities Not Corridors” signs up in windows. But some people who back BusConnects say research elsewhere has shown changes such as these should work well for businesses – that messages around the plan’s possible benefits aren’t being heard as much. One goal of the BusConnects proposals is to tackle growing congestion to make sure those living in suburbs can travel quickly into the city, the NTA has said. It can take 45 minutes to get by bus from Kimmage to the city centre, its report says. BusConnects aims cut that to 12–15 minutes. Future bus-journey times without BusConnects? They’d rise, the report says, to 55 minutes or more. But while BusConnects says it wants to deal with congestion – by clearing space for buses that can carry more people, more quickly into town – some in the shops along Sundrive Road are unconvinced it would work. The plans will cause major traffic congestion, says Michael Brazil, who works in Expert Hardware on Sundrive Road. Through-car traffic travelling southbound on Sundrive Road will no longer be able to turn left onto Kimmage Road Lower and head north-east towards Harold’s Cross. Buses and cyclists will still be able to make this turn though. A portion of Kimmage Road Lower, between there and Harold’s Cross, would be closed to through car traffic if the changes made mirror what’s in the NTA’s draft plans. Brazil says he thinks maybe people won’t come to Kimmage to shop anymore, and that most customers come by car. The shop is opposite a SuperValu with a car park. Brazil says he thinks the changes associated with the BusConnects plan will stop customers from Harold’s Cross jumping in their cars to drive to the shop, because that portion of Kimmage Road Lower will be closed to through car traffic. He doesn’t think the plan would be “as apocalyptic as some people are forecasting”, he says. But he thinks it would negatively impact car traffic flow “and maybe introduce a few busy hours that didn’t exist before”. 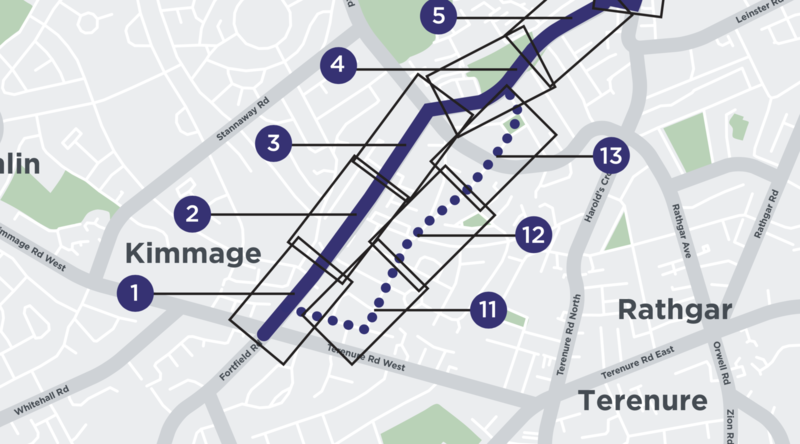 The Kimmage to city centre route is Corridor 11 in the plans, and is still open for public consultation. The closing date for submissions is 30 April 2019. The route starts on a two-way street, Kimmage Road Lower, in the south-west of the city, at a big junction with Terenure Road West. It heads north for a bit, passing the Sundrive Road intersection in Kimmage. It keeps going, north-east now, through Harold’s Cross. It eventually joins with the Greenhills core bus corridor at Kevin Street Upper. 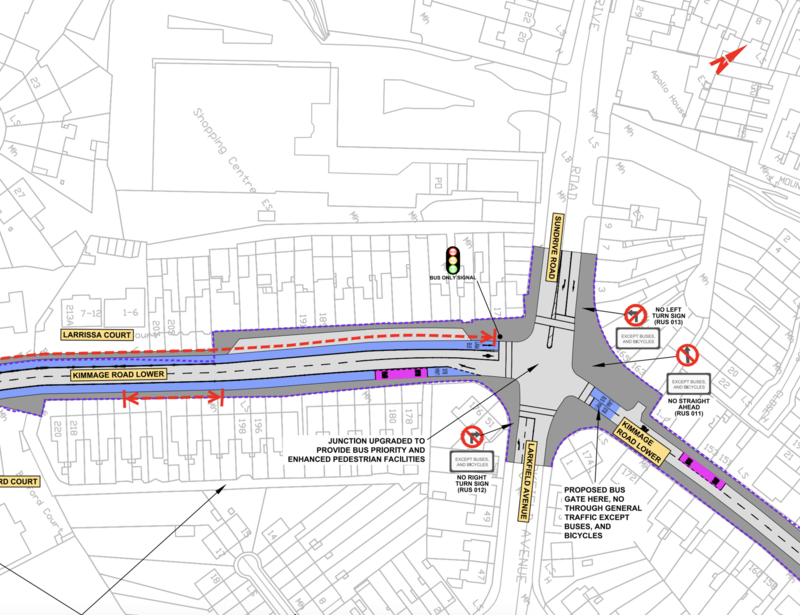 The NTA says parts of Kimmage Road Lower are “particularly constrained”, so the proposal diverts the cycle track away and onto Hazelbrook Road – the diversion is shown as a dotted line on the map. The section of Kimmage Road Lower between Kimmage Road West and Sundrive Road/Larkfield Avenue is “heavily constrained”. The proposal for this stretch is for footpaths on both sides, with one bus and one traffic lane in each direction. The plan as it stands now envisions “some limited areas of land take” at pinch points between Corrib Road and Sundrive Road. 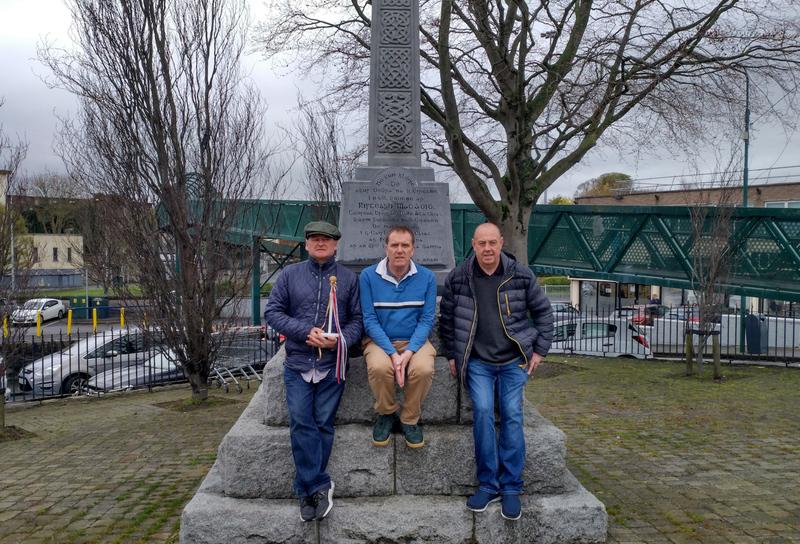 At the junction near Expert Hardware – where Sundrive Road/Larkfield Avenue meets Kimmage Road Lower – the proposal is to restrict the northbound section of Kimmage Road Lower to buses, taxis, cyclists, and local access only, until Harold’s Cross. Cars wouldn’t be able to turn right from Larkfield Avenue or left from Sundrive Road. 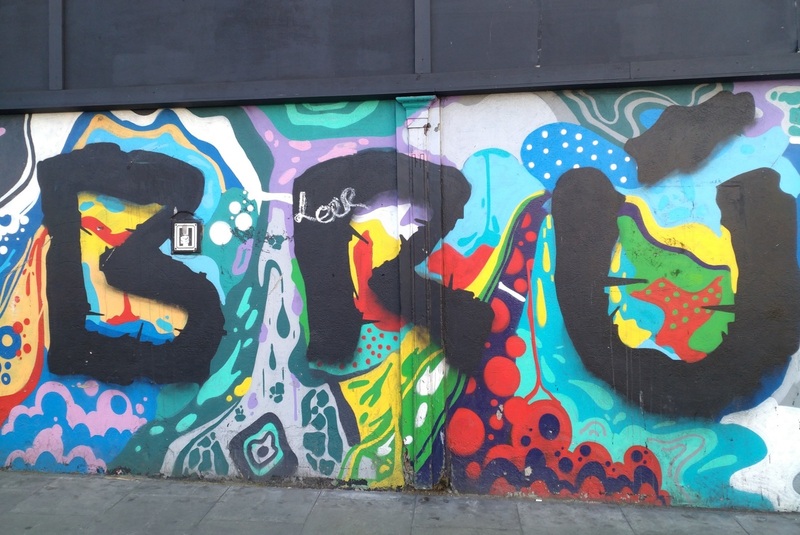 Some of people’s concerns stem, though, not from what will happen if the streets are changed long-term – but what may happen during sprawling construction project outside their shopfronts. Cass, who owns Frank Cass & Sons on Kimmage Road Lower, near the intersection with Sundrive Road, says that’s one of his biggest worries. Sewer pipes and power lines outside the shop would have to be re-routed, he says. “How does a small business sustain itself for 12 to 18 months during construction?” he asks. At a recent meeting of the council’s South-East Area Committee, Labour Councillor Mary Freehill put forward a motion calling for the council to give affected businesses some kind of rates rebate during construction. Frank Cass & Sons is one of a number of businesses on this stretch of road. The audiology business has been there since 1957, and John Cass was born in the building, he says. He’s lived there all his life. He received brochures from the NTA because the current proposal would remove the three car-parking spaces he owns in front of the shop to widen the street. Cass isn’t in favour of BusConnects, and not just because it affects him personally. He thinks the plans are flawed and that the infrastructure won’t make much of a difference in terms of reducing rush-hour traffic. He doesn’t think increased cycling traffic will help his business because current plans detour cyclists away from Kimmage Road Lower. And he doesn’t think increased pedestrianisation would help him – most of his customers are over 60, and they drive to get around. Recently, Lorraine D’Arcy stopped by one of the local shops in Kimmage with “Communities Not Corridors” signs up. She left with the impression that those working there had only heard negative responses from others in the community about the street redesign, says D’Arcy, who’s co-chair of the master’s degree in transport and mobility at TU Dublin. “I filled them in on the community and health benefits of better public transport systems, traffic evaporation and how footfall will increase past their shop,” she says. It seemed to make a mark. “They simply said, ‘No one told me about that.’ Took down one of the signs and moved the other,” says D’Arcy. One of the documents that D’Arcy points to as evidence that the changes shouldn’t be bad for business is Pedestrian Pound, a report from the UK-based pedestrian charity Living Streets. It highlighted evidence that “investment in better streets and places delivers quantifiable commercial returns”. A 2015 survey in the London borough of Waltham Forest found that retailers thought 63 percent of their customers came by car and 49 percent walked. But the survey showed 20 percent had driven there and 64 percent had walked. Closer to home, a study in 2011 found that businesses in Dublin underestimated the number and value of shoppers who travelled by bus and foot, compared to those who travelled by car and Luas. As a whole, the Dublin Chamber supports the BusConnects plan, said a spokesperson for that organisation. “What businesses need is for people to be able to access them,” he said. Dublin is “overly car dependent” because public transport isn’t “where it needs to be”. Cycling infrastructure isn’t good enough either, he said. So people will keep driving. “Taking out car parking spaces in isolation won’t solve the problem. If it becomes difficult to drive into the city, and if a compelling public transport offering isn’t there, then, yes, there is absolutely a concern that businesses in the city will be impacted,” he said. As people try to work out whether the changes would be good for them, it’ll likely be those around them they rely on most. People develop “hardly any beliefs based on quantitative data and the results of rigorous evaluation”, says Cameron Brick, a social-psychology researcher at the University of Cambridge. Instead it’s from stories we tell each other. Take when someone explains their personality or behaviour, he says. They use childhood experiences as evidence, not scientific data about “mutations to a set of genes that led to a different phenotype”. “Both are true stories, but one is just very difficult to intuit and talk about,” he says. Brick says he knows there’s a discussion going on in many cities about infrastructure changes. He’s heard there’s “great data to suggest businesses need not worry”, he says. But attitudes are likely to depend also on what stories those affected are hear from those around them. “Perhaps a customer told them that they couldn’t park nearby and were annoyed,” said Brick. “But a classic and major oversight is not having feedback from the customer who didn’t stop in, for example, because they didn’t use that street,” he says.